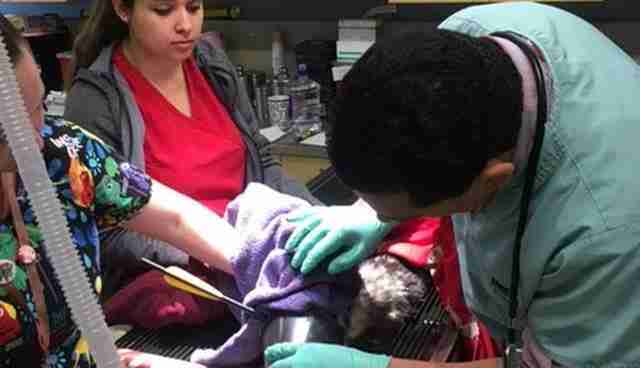 An opossum who fell victim to a heartless act has left his rescuers stunned - not only for the cruelty inflicted upon him, but by the fact that he survived. Authorities from Riverside County Animal Services, in California, were alerted to the animal on Friday morning. 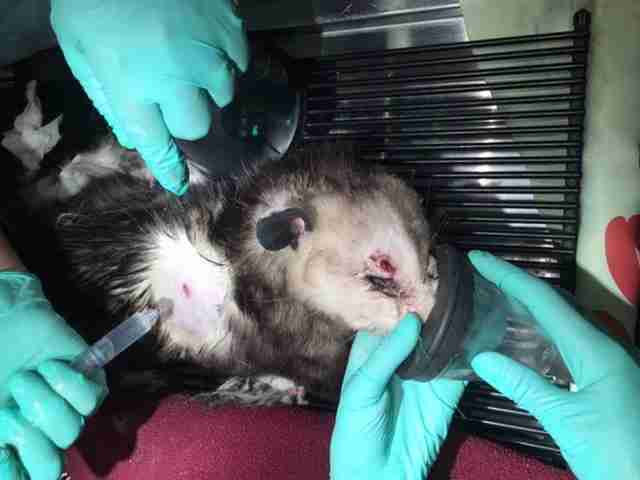 Given the nature of the injuries, the responding officer was expecting to be picking up a dead opossum, but that turned out not to be the case. "Shockingly enough, the animal was still alive, so the officer brought it to the shelter clinic right away," John Walsh, of Riverside County Animal Services, told The Dodo. 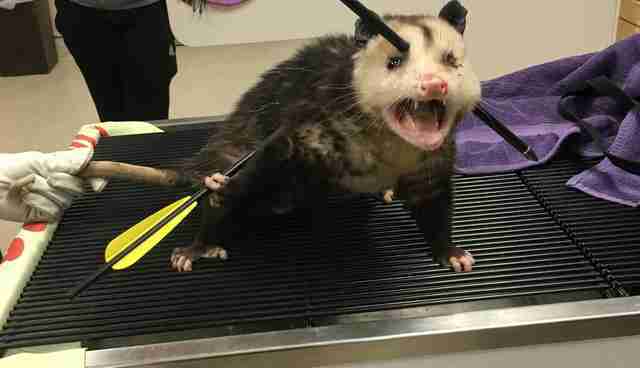 Despite being pierced through with two large arrows, one through his face and the other his body, the opossum's desire to live hadn't been dampened. 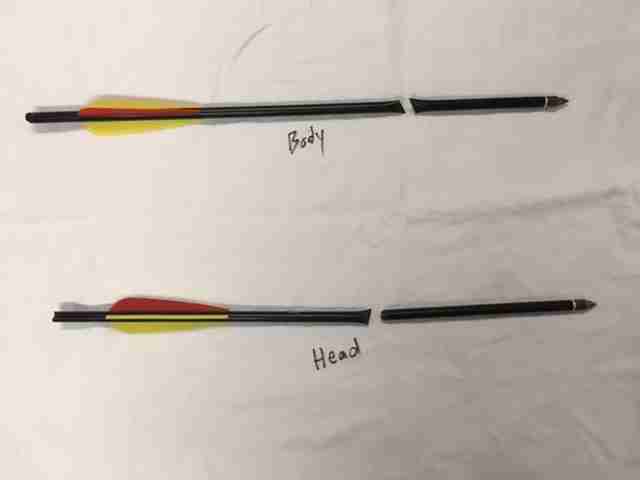 "The animal was very alert and you could tell it was trying to remove the arrows itself," said Sgt. Cynthia Lee. "The opossum was grabbing the arrow on its side. What a horrible thing to do to an animal." Emergency surgery was performed to remove the arrows. Amazingly, X-rays following the surgery showed that the opossum's internal injuries were not considered life-threatening. "You will be shocked to discover that only some lung tissue was damaged," said Walsh. "The vet had to remove the left eye, but he says he is very optimistic that this despicable act will not cause the animal to expire." Rescues have since named the opossum Robin. Walsh says that clinicians will continue to monitor Robin until he has healed sufficiently, after which he'll like be sent to a local wildlife rehabilitator for possible release back into the wild. Meanwhile, Animal Services has teamed up with the Riverside Police Department in launching an investigation to find the person responsible, and they're asking for the public's help. "No animal, whether it's a domesticated dog or cat, or a part of our wildlife, deserves to be treated in such a cruel manner," said Animal Services Director Robert Miller. "Anyone who has any information about who might have done this are encouraged to contact us. This is a sick act."